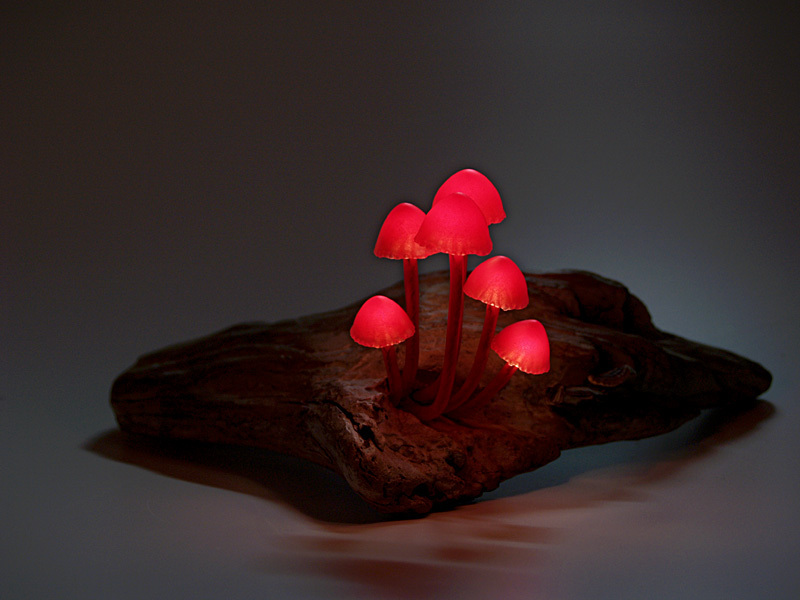 Enchanting mushroom lamps by Japanese designer Yukio Takano. 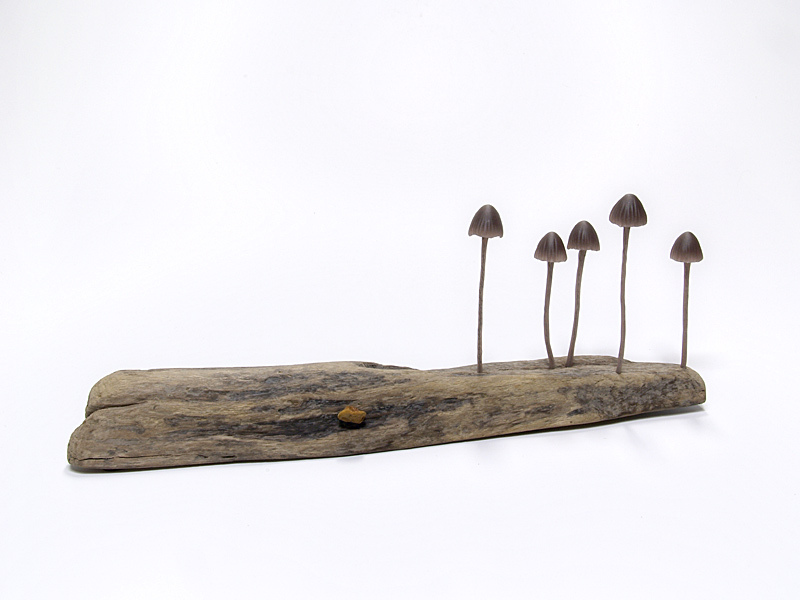 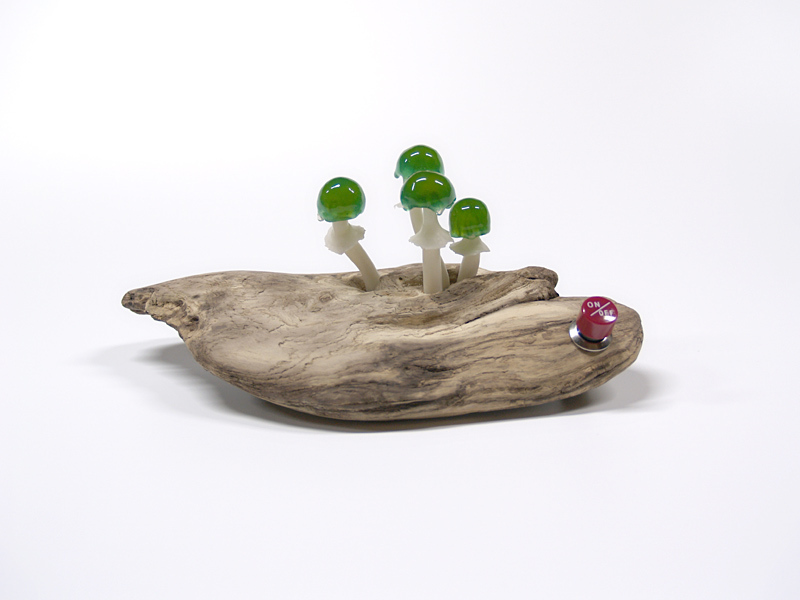 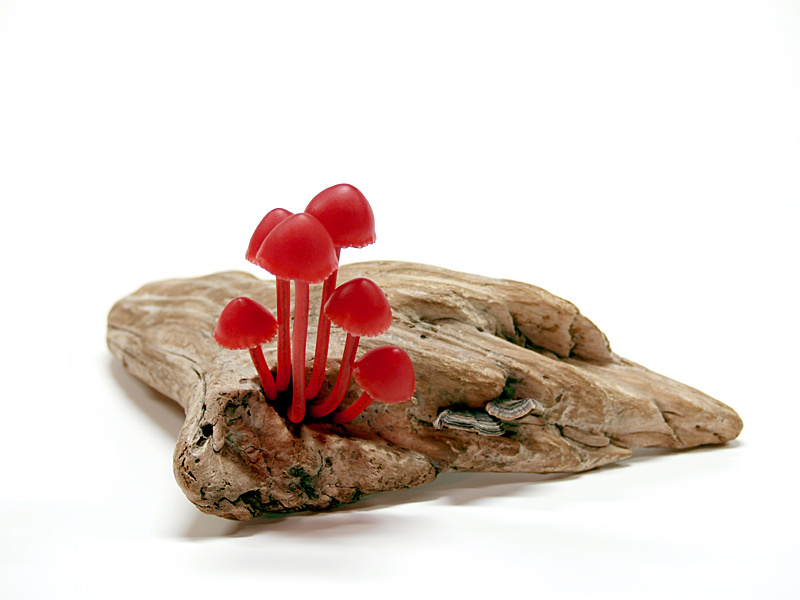 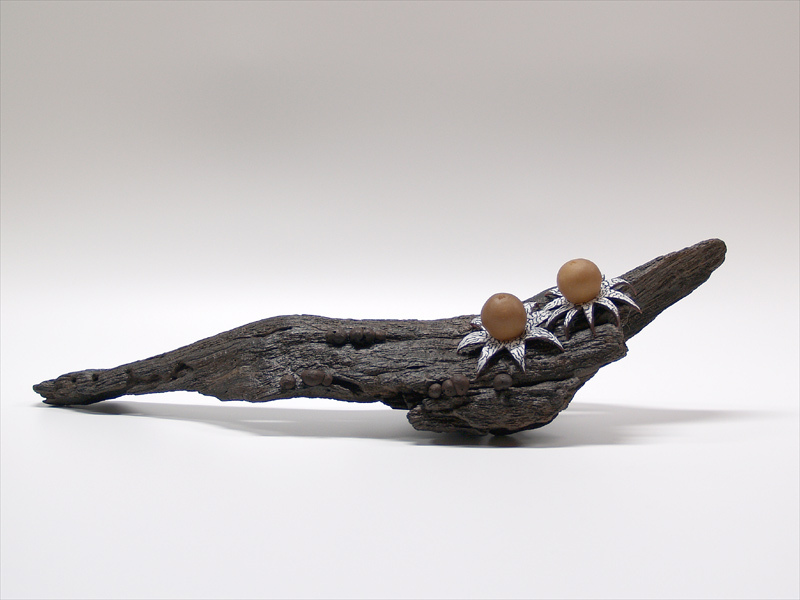 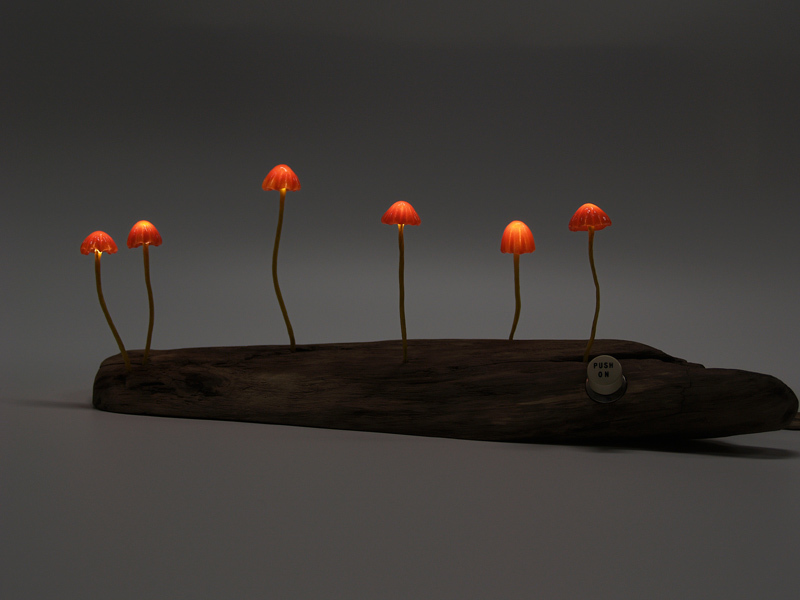 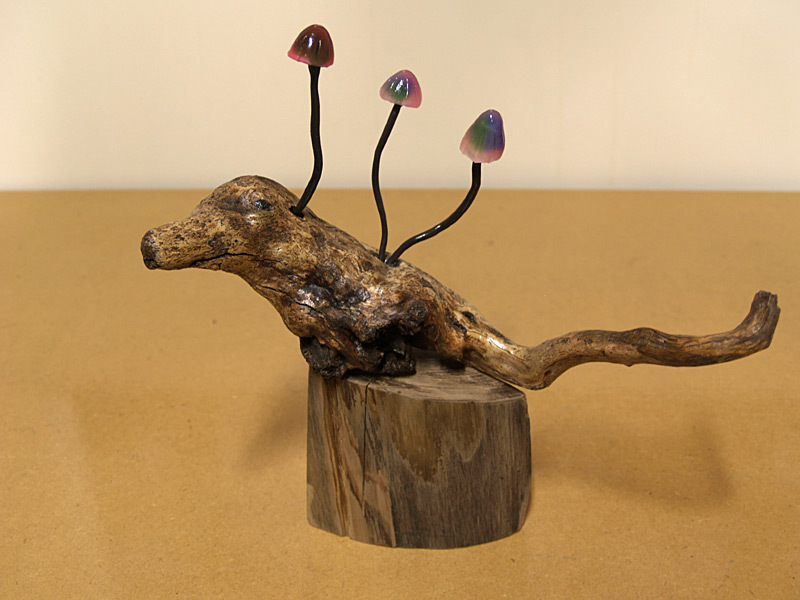 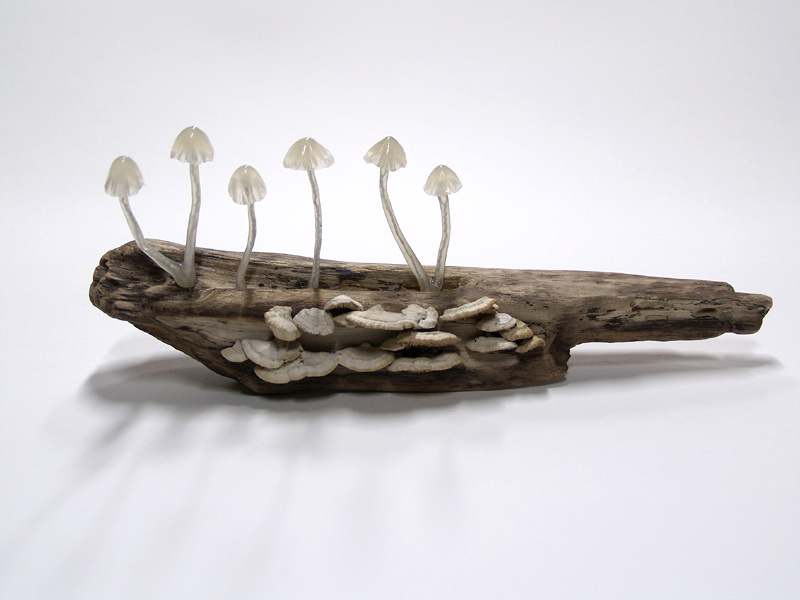 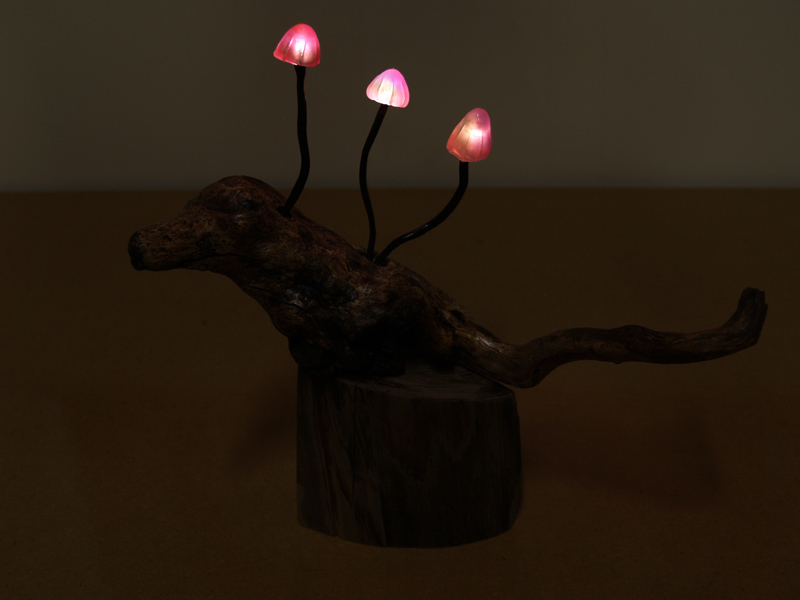 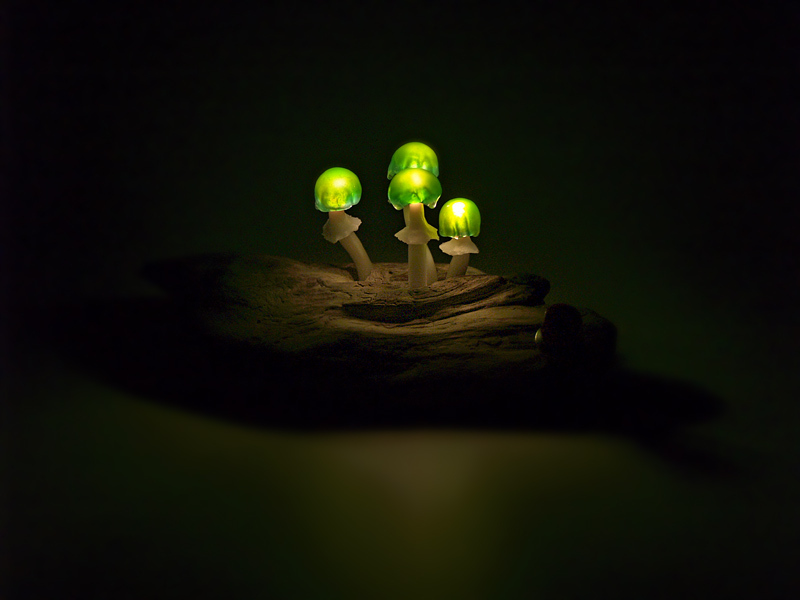 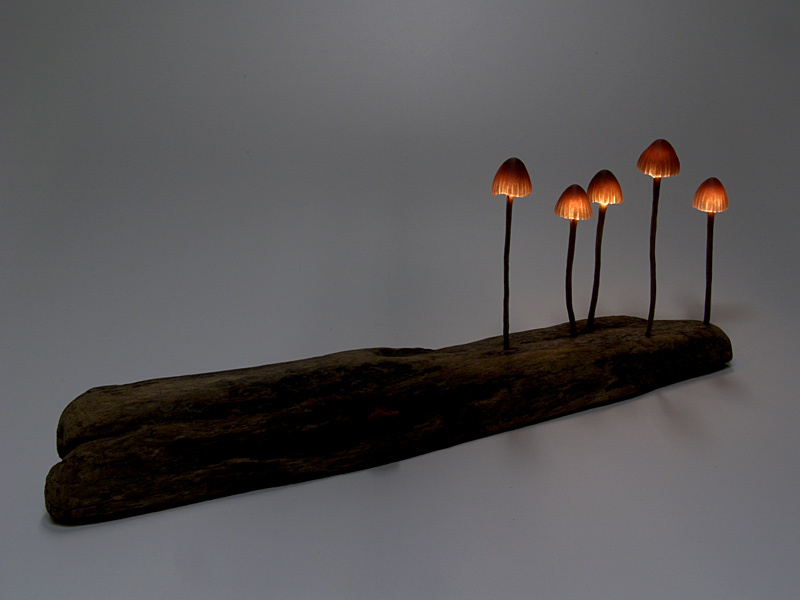 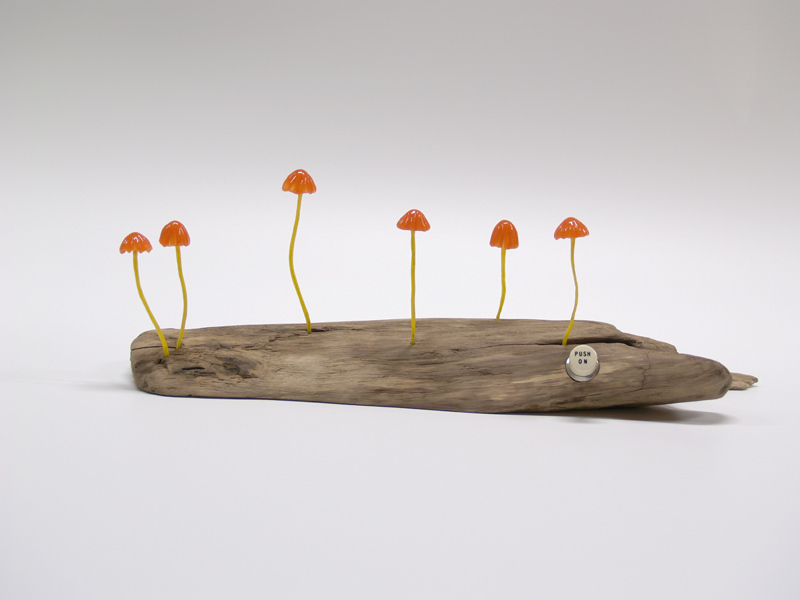 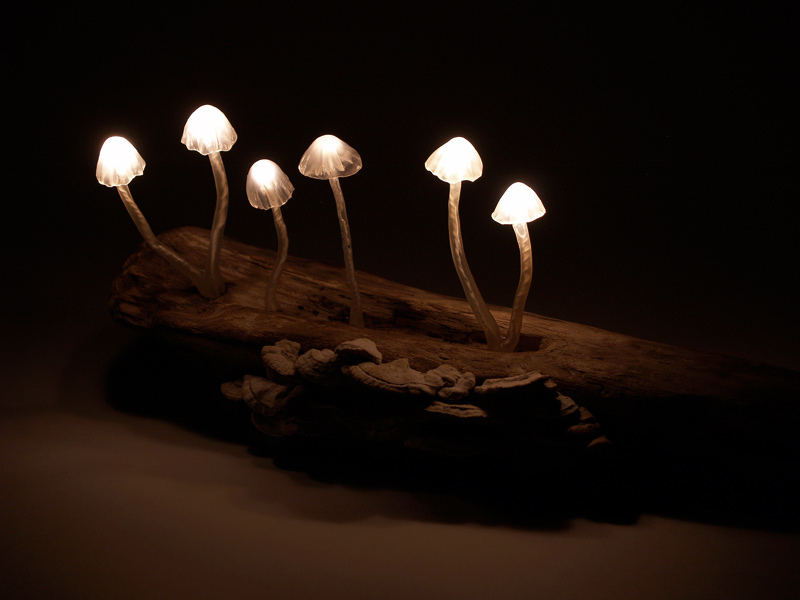 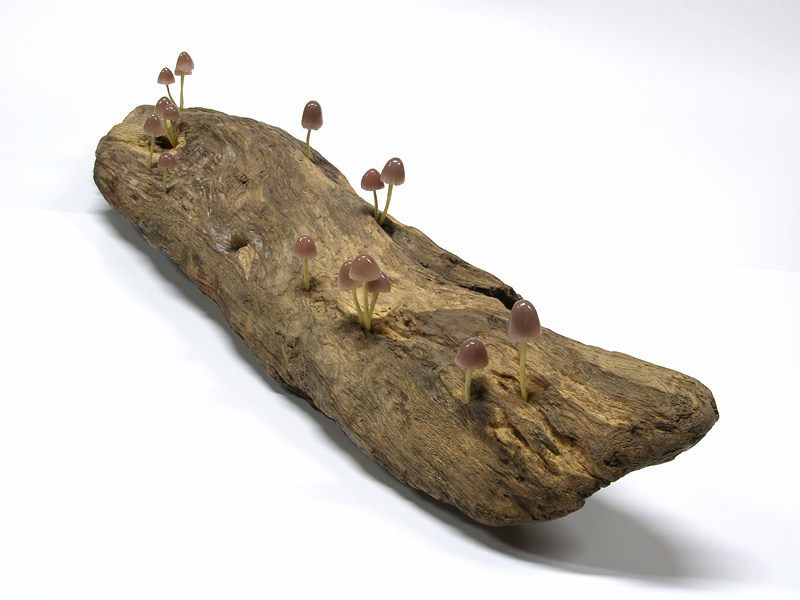 The lamps are made of glass with tiny LEDs inside them and to make them more realistic, the mushrooms are attached to a wooden base from salvaged driftwood and tree stumps to mimic that different varieties found in Japan. 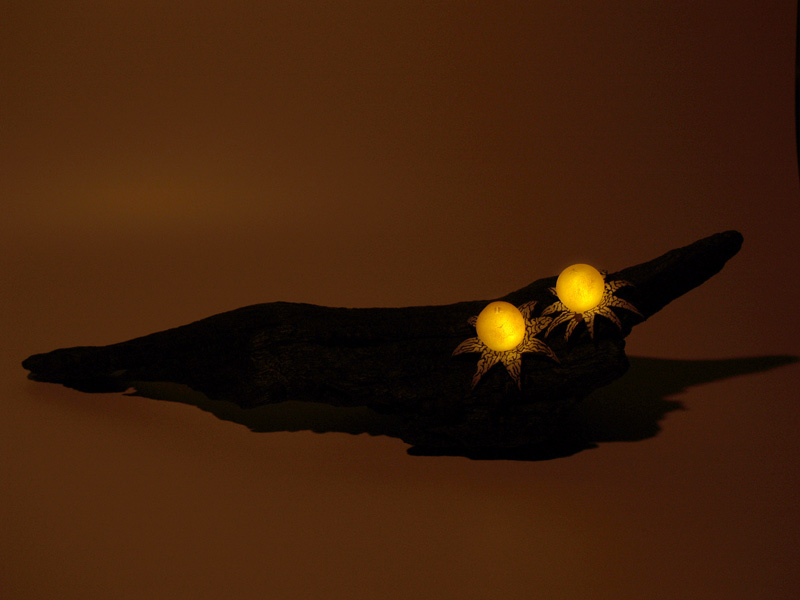 When illuminated, the tiny lights with their different shades turns any space into a magical and relaxing one. 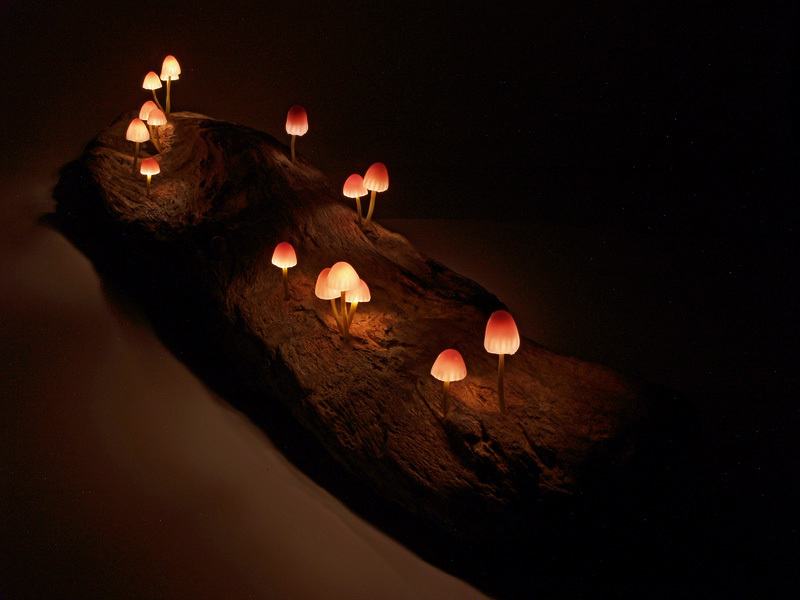 Enchanting mushroom lamps by Japanese designer Yukio Takano.